The rivalry to end all rivalries. 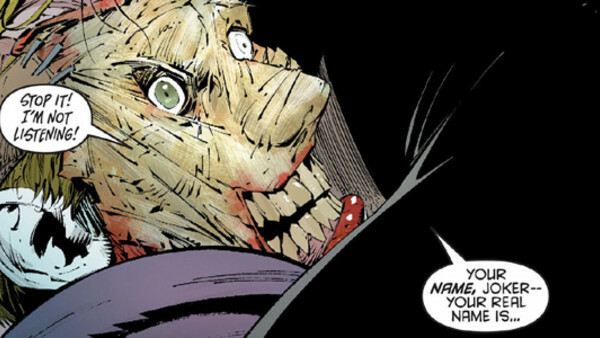 Having debuted in the same comic that first bore Batman's name in the title, the rivalry between Bats and The Joker has 75 years' worth of stories (well, apart from during the 1960s when The Joker was notably mostly absent from Batman's comic books) and there have obviously been some brilliant arcs in that time. So iconic is the rivalry that those great story arcs aren't just limited to the comic books either: there have been some fantastic tales written for the screen, both in live action and animated, and on both the silver screen and the small one. That so much genius has been invested in the dynamic is unsurprising, and far from accidental. No two stories are ever the same. Not only does The Joker's unpredictability lend itself perfectly to variation, but both he and Batman have also been portrayed in so many different ways over the years - from the camp portrayals of both men in the 1960s television series to the twisted Joker in Death Of The Family - that freshness is usually assured. But with such a rich history to choose from, which have been the definitive story moments in the long slow dance between The Dark Knight and The Crown Prince Of Crime?